I’ve heard suggestions from some extremists that the new Marine Parks will mean an end to Australian seafood and lead to huge increases in imported seafood. I reckon that’s a load of garbage, and let me tell you why. 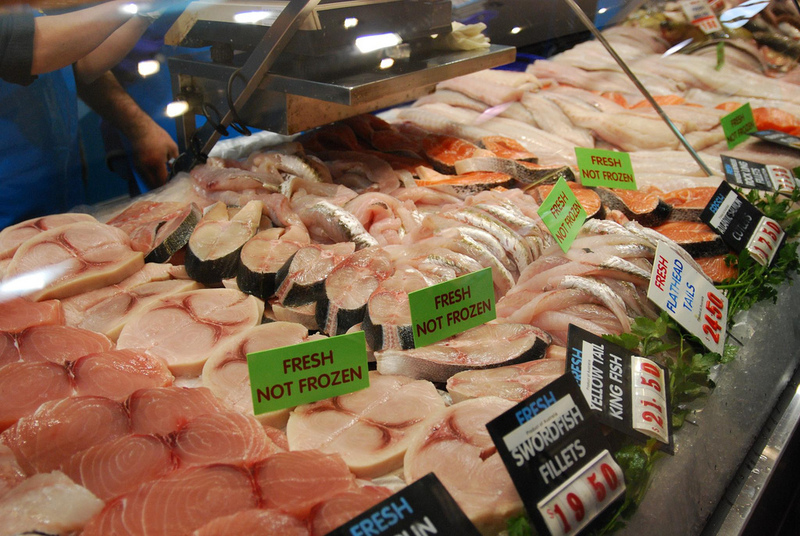 Australia already imports 70% of our seafood, but why? The short answer is that Australia’s waters are not nearly as productive and nutrient-rich as many countries around the world. Simply, we can’t grow as much as we’d like here at home so we import it, and we’ve been doing this for decades. Equally there is plenty of seafood that we actually export such as Rock Lobsters and Tuna because markets pay top dollar elsewhere. Our relatively nutrient-poor waters are partly due to our unique landscape and low rainfall which results in far less nutrients being flushed into coastal waters. But it’s also partly due to our ocean currents. You’ll know that Australia’s east and west coast waters are clear and warm. 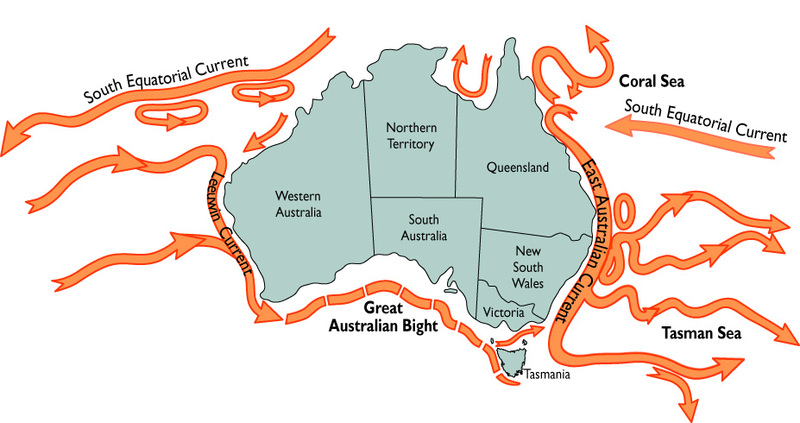 That’s because, like nowhere else on Earth, Australia has tropical currents flowing down both east and western coasts. Tropical currents carry an amazing diversity of marine life, but they don’t support big tonnages of fish stocks. Every other continent in the southern hemisphere has cold polar currents flowing up its west coast – this water is rich in nutrients and plankton, and it’s no surprise that that’s where some of the world’s highly productive fisheries are found. So while the lucky country has relatively warm clear water and sunny skies that has helped define our Australian lifestyle, we miss out on the rich fishing grounds that our neighbours in New Zealand, Africa, and South America benefit from – and this is reflected in the fact that we have to import a lot of fish to provide affordable seafood for everyone. For more, see their information sheet. How will these new marine parks affect Australian seafood availability? One of the goals of the new national marine parks plan was to minimize impact on commercial fisheries. In this area it’s done this well, reducing the value of catch by only 0.8%. That’s actually less than the variation in catches each year caused by the weather and the strength of ocean currents! So it’s not going to greatly affect the commercial fishing industry. Of course, commercial fishers are entitled to compensation for any impacts, and rightly so. But as the Government decides the level of compensation don’t be surprised to hear them talking up how tough it will be for them. Of course the effects on some particular fisheries will be a bit higher – that’s because some fisheries have more impact on bycatch and important habitat like sea grass beds and seamounts/canyons than others, or they operate in environmentally sensitive areas. We got used to the idea a long time ago that not all Australia’s land areas should be open to logging or farming – this way of thinking is a bit newer in our marine waters, but the case, and the benefits, are much the same. But the impact on our major fisheries is pretty low – only 0.4% on the Western Rock Lobster fishery (which is Australia’s most valuable) for example. Did you know the impact across the entire industry on all commercial fisheries out of all of NSW and Southern Queensland is about 0.3% of the production value? Given the benefits and the compensation that will be on offer, it’s all pretty reasonable stuff. For more detailed information check out the fishing industry impact statement which provides all the details on how little the industry will be affected.